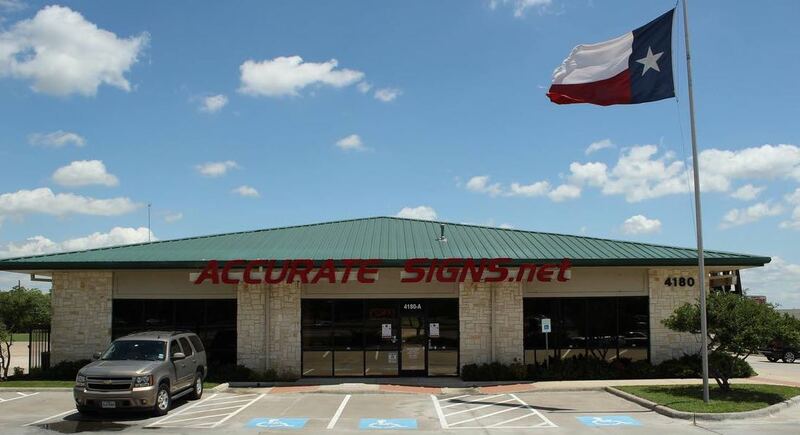 Accurate Signs has served Dallas and surrounding areas for over 10 years. We provide high-quality sign services for your business store signs, vehicles, and promotional needs. Accurate Signs provides custom car wraps, store signs, and printing services for businesses in the Dallas, Mesquite, Sunnyvale, Garland and surrounding areas. We specialize in working with the client to design advertising and informational signage and decals that are effective and attractive. When requested we can provide mockups so the client can see what the signage will look like once installed. We design, fabricate, and install car wraps from simple lettering to full wraps. We design, fabricate, and install permanent signage at businesses, apartment communities, parks, etc. We design, and fabricate advertising and informational decals like fire department warning signs, reflective signs, informational decals for DART buses, etc. Amplify your brand with building signs, temporary banners, and other store signs. Get a professional looks for your company vehicles with car wraps and lettering. Tradeshows, special events, yard signs, political signs, window wraps, floor/window decals and more. We provide high-quality custom car wraps and store sign services for your business store signs, vehicles, and promotional needs. Get a quote today on what you need. Click on the “Get a Quote Today” link below and we will happily respond within one business day and let you know the cost or if we need additional information to develop your quote. You are always welcome to call us as well at 972-686-1155. Thank you!